There is no question the Explorer needs to grow internally, but not really externally. The Explorer and many D3/4 products suffer from poor packaging and typically boast the least interior space among their main competitors. But this has been the case all along and Explorer has been very successful regardless. Competition is getting more aggressive now and it's basically Explorer's market to loose so they have to make their next decisions smartly and I'm sure they will. Explorer sales were actually down last year, unless you factor in the UI sales. I know Ford projects continued SUV growth but I think we've probably seen peek Explorer sales as competition grows and the Explorer enters old age. But just like the aging Grand Cherokee, Explorer still has a strong brand that sells itself. From my understanding Ford really scrambled on the Explorer and it was something of a rushed project. Ford has been struggling with what to do with the hugely popular BOF Explorer and their answer was to launch something else in parallel which turned out to be the ill-fated FreeStyle. In the meantime Ford was collectively loosing the very profitable people mover sales with the collapse of Explorer and FreeStar sales which contributed significantly to their crisis at the time and their decision paralysis. GM had some uncommonly keen insight with the Lambdas which ultimately influenced the creation of Explorer we have today and Ford finally gave up the ghost on the idea of parallel BOF Explorer and a Crossover Wagon. This meant that Ford had to scrap together an Explorer out of the bones of the FreeStyle/TaurusX/Flex which was never well suited for the roll of a tall SUV. So really it's amazing what they were able to achieve with limited resources and time. And it also created some of the best product mules history has ever seen. The Freestyle later called Taurus X, was always supposed to be an answer to the Taurus & Taurus Wagon from the 90's, early 2000's. Nothing more. Explorer nameplate was always to exist. All that happened was CUV platform sharing, when Ford saw the popularity and customer focused benefits to unibody construction, growing in big numbers from the competition. Ford was following what they thought was a growing trend. I recall the decision quite well, having owned many Explorers/Mountaineers to date, while also having owned a Taurus X, which was second only to Flex in my favorite list of Ford People movers. My wife to this day loved our Flex and X immensely. It's quite possible that Ford is not the fumbling fools some frequently portray them to be in many product decisions. I also agree.. my wife loved the Taurus X and now our Flex.. I now work pt at a ford dealership and as soon as a Freestyle or Taurus x is traded in ... it is GONE. 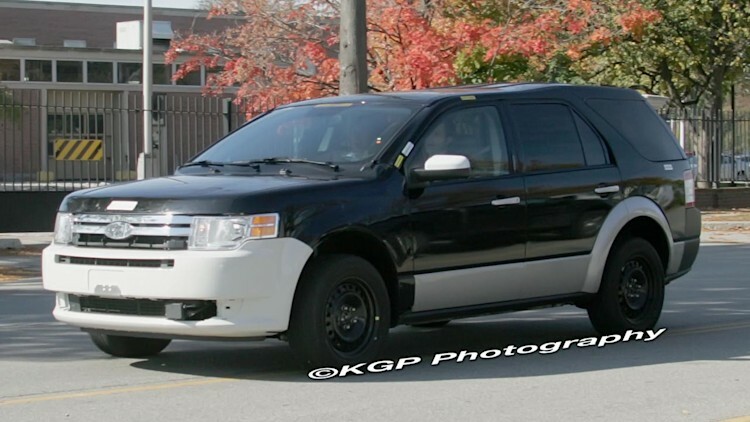 They may not have sold many, probably due to lack of advertising, but they are popular.. the Taurus wagon on steroids..Ford does need a replacement for the Flex..
My favorite features for the X, were how the 3rd row could fold flat or fold rearward, for tailgating. Also too, the 2nd row flip forward switch was mounted in the door jamb, for single hand operation while entering the 3rd row or just gaining rear storage. As an AWD wagon with the 3.5L, it was a gem. In many ways, better than the Flex. Isn't every Crossover/SUV/minivan a successor to the defunct station wagon segment in that case? 2. SUVs based on trucks evolved to be more car like. So here we see automakers attacking changing trends in buying patterns from two different directions. into Focus.It's no wonder that sedans are being pushed out, they're far to vanilla - not enough versatility. The mass-market sedan will probably be gone within the next 10-20 years as we essentially move from a 3-box to 2-box form factor with a huge variety of sizes and pricing. The transition is actually happening far quicker than I think anybody realized. Sedans will probably live longer among luxury manufacturers. I got word from some very reliable sources that Ford has put CD6 development on hold indefinitely which is holding up the next-generation Explorer. No word on how this effects future Lincolns but it could be a significant problem for their plans to launch an Aviator. I know CD6 was suppose to be a significant platform for Lincoln's next-generation products so if true that might delay their planning. Ford is undergoing a massive spending review which has been in progresses for about 9 months and it's believed the CD6 project has fallen victim to the budget cutting. Instead they are going to focus on extending the life of existing platforms. Essentially Ford can't afford new platforms right now. I'm under the impression that quite a bit is influx and Ford is facing some really big economic challenges ahead so almost everything is uncertain which is making people extremely nervous.